An Android emulator is a program that provides a virtual environment on your computer that works exactly like an Android mobile or tablet. In this virtual interface, you can install any Android app, to the point of simulating that you use it from your mobile device. There are many valid reasons why someone would want to use Android emulators. A developer may want to try the app before sending it. A gamer may want to use the mouse or keyboard to play. Or maybe you just do not have an Android device and you want to try the app. Whatever the case, emulating Android on the computer is something very simple to do. And here we will show you the best Android emulator for PC to date, in no particular order. Let’s go! AMIDuOS is an Android emulator for PC that works with Windows 7, 8 and 10. It allows you to run almost all apps based on Android. This emulator is not free, although you can download a free trial version. Pro Version runs the Android Lollipop packages. Lite Version runs the Android Jellybean packages. AMIDuOS works very well for multiple purposes. Most of its characteristics are based on productivity. That makes it a good option to use it running office apps, documents, etc. There is no specific feature for games, but it runs games quite well. The developers could use it for basic tests, but it will not be good for advanced things. It’s good in general and it’s worth giving it a try. Android Studio is the development IDE approved by Google for Android. This includes many tools to help developers make apps and games specifically for Android devices. 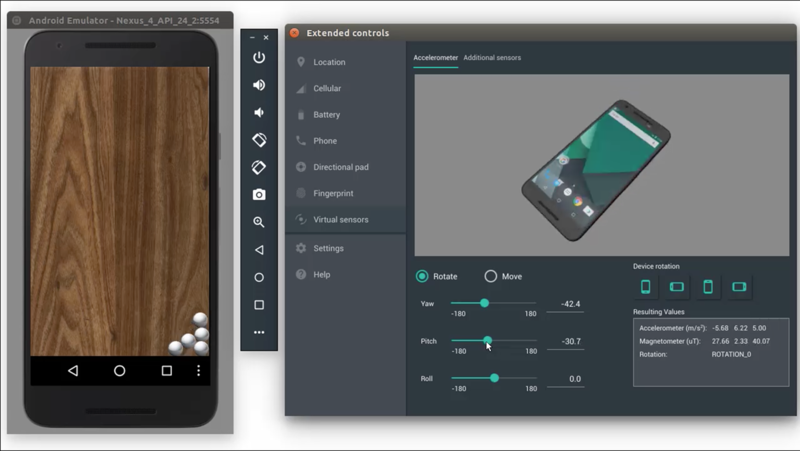 Android Studio also has a built-in emulator to test apps and games from the Play Store. Of course, being oriented to developers, Android Studio is not the best option for the common user. However, it is good to know that apps in development already have a powerful tool (and free) at your disposal. Setting it up is honestly something annoying to achieve. Even so, when it is managed to configure, its use is the simplest. If you are a developer or plan to be a developer, Android Studio is definitely one of your best options. Android-x86 is an emulator oriented to transport the open source project from Android to the x86 platform. This project was formerly known as “patch hosting for android x86 support“. The Android-x86 development team created its own code base. This with the purpose of providing support on different x86 platforms. They were also given the task of configuring a git server to host it. The original plan behind Android-x86 was to host different patches for Android x86 support from open source community. However, after a few months of creating the project, they found that they could do much more than just receive patches. Andy (Andyroid) is an emulator that allows you to download almost all Android apps and games directly to your computer. With Andy, you can run your favorite apps and chat as if you were doing it on a mobile device. Besides, the emulator provides unlimited storage capacity. Andy has support for Windows and Mac compatibility. You can use your own mobile as a remote control when running games in the emulator. It also allows you to run all messaging apps from your computer, including WhatsApp, Snapchat, Telegram, Line, etc. Andyroid is an emulator with excellent fame among users, both for games and for utility apps. If you want a good experience running Android from your computer, Andy is definitely a good option. BlueStacks is a popular Android emulator that has a completely free download. It was launched in 2011, and since then it has extended the limits of the Android ecosystem. Many users around the world started in the world of Android emulation using BlueStacks. BlueStacks is available for Windows and Mac for free. Its installation is very simple, as much as a single click. The above, together with its friendly user interface, make BlueStack an excellent emulator. The best? It is not necessary to root the emulator to enjoy the underlying benefits. Simply download the root version, which is also available. If you want an efficient and easy to install an emulator, BlueStacks is a good choice for you. Droid4X is an excellent simulator of the original Android system, which you can have in the comfort of your computer. With Droid4X, users will have a virtual Android device with individualized configuration and performance (subject to computer configuration and performance). Droid4X allows you to download Android apps and games, and execute/play them on a computer screen quite conveniently. It has a version of Windows and another of Mac; the iOS version is in development. This emulator is very light, and it may seem similar to other emulators at first glance. However, it is distinguished from the others by including a remote control utility available to install on your smartphone. This utility allows controlling certain aspects of the Android emulation that runs on the computer. So, for example, you can use your Android mobile as a control for the games that run inside Droid4x. Another remarkable thing in Droid4x is its performance, which seems to be slightly better than that of other Android emulators. Anyway, you are likely to encounter some stability problems from time to time. If you are a developer and looking for an Android emulator to test your app or game, Genymotion is for you. Very popular among developers, Genymotion comes with a series of features to help in testing apps and games. Among its features, Genymotion is capable of simulating 3000 configurations of devices with support for more than 40 Android devices. It also has advanced automation options and collaboration functions. The emulator also allows you to test how an app behaves with respect to the device’s battery. And it even allows using the webcam of the computer or laptop as a camera source for Android camera apps. What makes Genymotion even better is that it is compatible with Android SDK, Eclipse and Android Studio. The emulator is available for the three main PC platforms: Windows, Mac, and Linux. The annual license for 2 people has a value of $ 136. The company also offers a free version of its emulator, with only basic development tools for individual users. Jar of Beans is another lightweight and functional Android emulator that gains more followers around the world every day. It is an Android JellyBean emulator, easy to install and configure. Its multi-user support allows you to customize individual configurations, as well as create virtual SD cards. You can download Jar of Beans from its official website. After the download, you must download the APK files of the apps that you want to install in the emulator. Enjoy and download all the Android applications you want, including games, messaging, utilities, etc. Jar Of Beans was developed as a portable Android emulator for Windows. It has all the basic support: install APK, SD card, Play Store, among others. KoPlayer is a relatively new and completely free Android emulator. Its main objective is to run games (from the name). KoPlayer allows you to emulate Android controls with the computer keyboard. Also, record the game and load it from other devices and equipment. The installation process is quite simple, and the emulator itself works very well. Like most emulators, it has random execution problems, but nothing serious. In addition, it has a lot of utilities and everything at no cost! Of course, you can also use KoPlayer to run Android apps. You can install them by downloading their APK or from a Play Store version of the emulator. It is perfect for Snapchat, Instagram, Viber, WhatsApp, and others. With a fairly ordered user interface, LeapDroid stands out as an emulator. Unlike other emulators, LeapDroid has clear built-in functions, which improves the experience in games, apps, compatibility, etc. The integrated GPS helps the navigation system. On the other hand, shortcuts to your favorite apps can be assigned manually, improving the user experience. It is also very good in terms of performance and startup. Definitely, it’s worth trying. NOTE: Unfortunately, after a successful year, LeapDroid was discontinued. However, you can still use it, only that you will not have any updates. MEMUPlay is an Android emulator for the computer with excellent performance in terms of games. It is compatible with all versions of Windows from Windows 7 and supports all the latest graphics chips and cards from Intel, AMD and nVidia. However, it does not matter if you do not have a graphics card. Similar to KoPlayer, you can use MEMUPlay to run several apps or Android games at the same time. The emulator also supports keyboard, mouse and Xbox / PS drivers. MEMUPlay only provides compatibility with Android Lollipop. MEMUPlay offers a simple way to install apps: just drag and drop the APK into the emulator’s interface. In addition, MEMUPlay allows you to run other Android emulators at the same time, which is quite convenient. Nox App Player is one of the best and lightest Android emulators. This emulator has a clean and tidy user interface. Besides, it allows running games and heavy apps without losing performance. Nox App Player is compatible with a wide range of Android game controls. Also, Nox supports most of the games developed for Android. It also allows you to install the Play Store as well as other third-party Android apps. The emulator is based on version 4.2.2 of Android (JellyBean) and is compatible with Intel and AMD processors. You can download it for Windows for free. If you are looking for a good (and free) Android-oriented game emulator, Nox App Player is a great option. If you are a newbie in emulating Android on your computer, then Official Emulator SDK is your best way to start. It was developed and designed by Android itself, and provides precise installation and configuration instructions. This emulator has many fans and is used by most Android app and game developers. It supports all functions, including SD card, file transfer and compatibility with the physical keyboard of the computer. Remix OS Player provides Android’s Marshmallow emulation without any error. Unlike other emulators, the Remix OS Player interface is optimized to be computer friendly. Based on Android Studio, Remix OS is optimized for app development and game performance. In addition to coming with a one-click configuration, Remix OS Player is also completely free. Remix OS allows you to save the games while you play. It also allows simultaneous and multiplayer play, which is quite striking. On the other hand, it allows the installation of peripherals and gamepads. The only problem with Remix OS is its high system requirements. The emulator requires, at least, a Core i3 processor with an 8GB storage. It also has no support for AMD chipsets. Visual Studio, from Microsoft, is a very good option in terms of Android emulators. It has fast and powerful simulations, and its interface allows you to run a large number of Android apps and games. With Visual Studio, you can install any APK with just drag and drop on the emulator interface. Besides, Visual Studio is a portable emulator, so you do not need to install anything to use it. Windroy is a very good Android emulator, light and with lots of functions. The emulator has some apps and games pre-installed, and you can get more from the Google Play Store. Windroy will allow you to run all kinds of Android apps, and it offers excellent compatibility. Windroy is a classic. It is one of the oldest emulators of Android for the computer. As such, it is not for everyone. Windroy is mainly oriented to productivity, so you can run office apps easily enough. However, game support is less reliable. One of its great advantages is that this emulator is a free download and easy installation. It’s worth giving it a try if you need an emulator that runs fast, especially on older machines. Another good emulator is the Xamarin Android Player. It is designed to run on the x86 Atom system, with hardware accelerated virtualization and OpenGL function support. It supports versions of Mac and Windows 7, 8 and 10, and is compatible with 32 bits and 64 bits. Xamarin Android Player is one of the least known Android emulators. Being the product of first-class software developers, with Xamarin you will not end up frustrated with the bugs. However, to obtain Xamarin you need to also install the VirtualBox, on which it is based. This emulator is also compatible with touch devices. Therefore, if you have a laptop with touchscreen (or a tablet), Xamarin Android Player will be very practical. It is worth giving it a chance, and also give it the recognition it deserves. YouWave is an excellent option to emulate Android in Windows. This emulator gained popularity in a very short time, due to its intuitive and easy-to-use interface. The addition of some unique features and Windows compatibility make it one of the best Android Emulator for PC. YouWave is one of the oldest Android emulators for the computer. However, it was updated for the last time in mid-2016, so it is quite popular. It has two versions (Free and Premium Versions). The Premium version is Android Lollipop. It costs $29.99 (10-day trial) and has no ads. YouWave does not have any specific features for games, although it runs very well. This makes it good for light games and for productivity. YouWave is a good emulator for those who need practicality, and also for new ones in the theme of emulating Android on the pc. And that was our best Android emulator for PC (Top 18 Android emulators). Depending on the features you are looking for, or for you to want, you can choose one without problems. There is a world of possibilities! We hope that the list has been useful for you. As always, we invite you to do your own research, and if you have any questions, leave us a comment. Besides, if you think we left a good emulator on the outside, you can also leave it in the comments ❤. And you, do you already use an Android emulator on your computer?